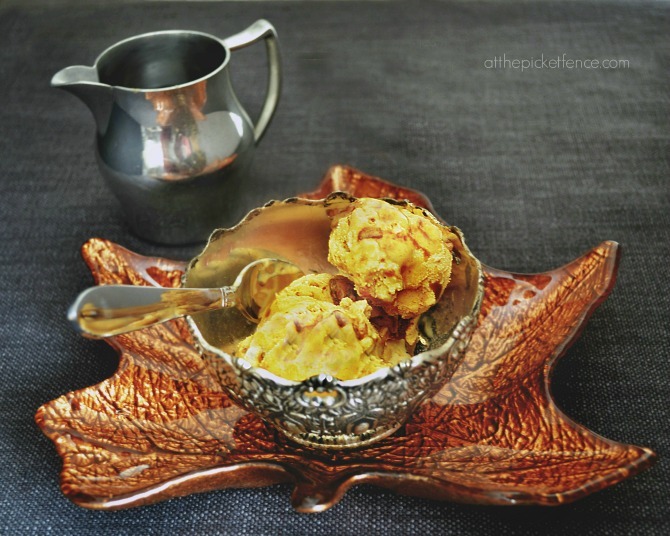 Pumpkin Pecan Ice Cream…a summer treat for fall! Summer transitions into Fall. We exchange Garden Trowels for Rakes. Swimsuits for Sweaters. Popsicles for Pies. But there is one summer treat we don’t have to give up even when we are deep into the Autumn season. Ice cream can be enjoyed year round, and what better way to combine this summer favorite with the tastes of autumn, than Pumpkin Pecan Ice Cream. And finishing it off with Bourbon Sauce is the proverbial icing on the cake. Or, should I say the topping on the ice cream! 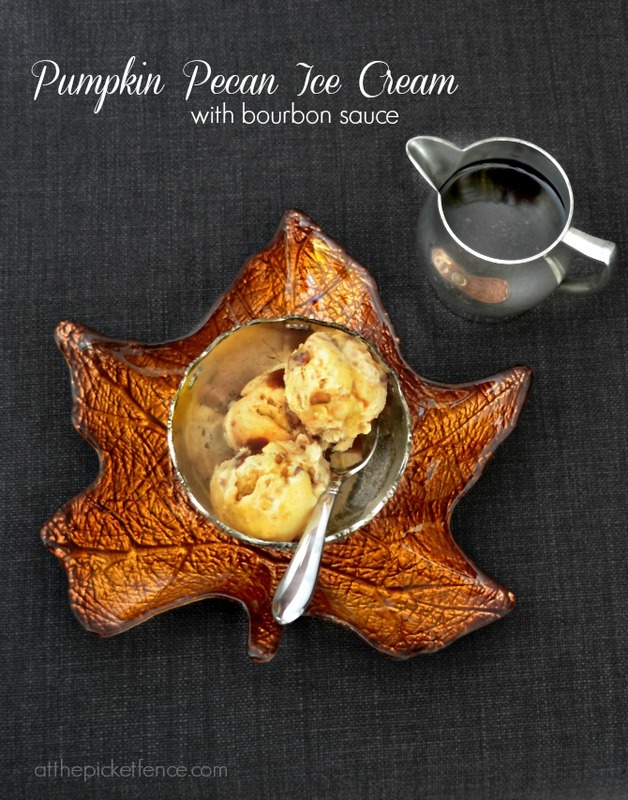 Pumpkin Pecan Ice Cream with Bourbon Sauce! Surprise your family this fall and treat them to the tastes of autumn wrapped in a package of summer goodness! Make an ice bath by adding ice and a small amount of water to a large metal bowl. Nestle a smaller (two quarts or larger) metal bowl into the ice bath. In a medium saucepan mix the milk, cream, granulated sugar, ginger, spices and salt. Warm the mixture until hot and edges begin to foam. Whisk the egg yolks in a separate bowl and gradually whisk in about half of the warm milk mixture, stirring constantly to avoid scorching. Whisk the warmed combined yolks and milk back into the milk mixture in the saucepan and cook over low heat, stirring and scraping the sides and bottom constantly with a spatula. Continue until mixture thickens and coats spatula. Immediately pour mixture into smaller metal bowl, using a mesh strainer and remove cinnamon stick. Mi in brown sugar, stirring well, and chill for several hours, preferably overnight. After mixture has chilled, add in vanilla and pumpkin puree and stir to combine. Press mixture through strainer again to remove any lumps and for a smoother consistency and gently stir in optional pecans. Freeze in ice cream maker per instructions or use homemade freezer method of choice. Combine two cups brown sugar and 1/2 cup high quality bourbon of choice in small saucepan over medium heat. Reduce mixture down for approximately five minutes stirring frequently. Serve hot over ice cream! 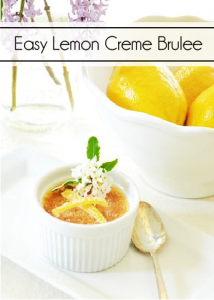 For more fall recipes visit our recipe page here at the picket fence! 7 Comments on "Pumpkin Pecan Ice Cream…a summer treat for fall!" OH YUM! I LOVE PUMPKIN ICE CREAM. This looks fabulous! That looks amazing – my husband loves pumpkin ice cream! What a great treat for fall. 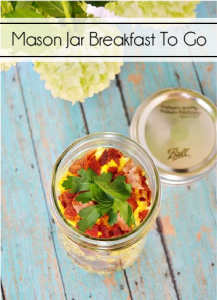 Holy cow this sounds amazing! 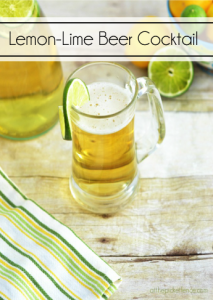 Pinned and will be making this ASAP!